It's an ambitious, but increasingly realistic, proposition. Virgin Hyperloop One, a company that's developing a new way of moving people around the world, has precedent when it comes to missing deadlines. The company pledged to test a fully working Hyperloop by the end of 2016, but its first test didn't take place until Aug. 2017. The future doesn't conform to timetables, and we can forgive plenty, but it's still with trepidation that the company sets its next ambitious goal. 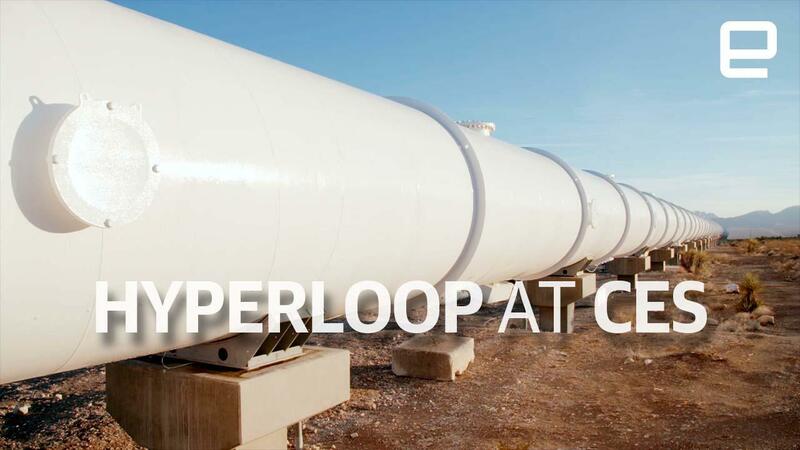 It intends to have a full-size, passenger-ready Hyperloop in operation by 2021. After touring the transport company's DevLoop site in Clark County, Nevada, it's clear the challenges now aren't technical but political. For the first time since May 2016, the site was opened up to a handful of journalists this week during CES. Hyperloop One was a vastly different company. Back then, it was led by original co-founders Brogan BamBrogan and Shervin Pishevar -- the former quit a few months after an alleged falling out with Pishevar's brother. The latter would depart at the tail end of 2017, departing under a cloud after becoming embroiled in a sexual harassment scandal. In their place, Richard Branson has stepped in as chairperson, rebranding the company as Virgin Hyperloop One. Another new face is Dr. Anita Sengupta, who has joined the company as the head of its systems engineering division. Sengupta is a veteran of NASA's Jet Propulsion Laboratory and the figure behind the Curiosity rover's supersonic parachute that enabled it to land on Mars. Sengupta's knowledge of theoretical physics will be helpful when it comes to ensuring that the Hyperloop can function safely and reliably. After all, as she says, you don't get to practice landing hundreds of millions of dollars' worth of equipment on another planet. Her job has been made easier by the fact that DevLoop has now played host to more than 200 test runs of increasing speed and complexity. In November, the company demonstrated that its test pod could reach speeds of up to 240 miles per hour in just a 500-meter long tube. It took a distance of 300 meters to hit that speed, with the following 200 being used for deceleration, fact fans. And even though the tubes have been welded in place, the company continues to make significant tweaks to the system. 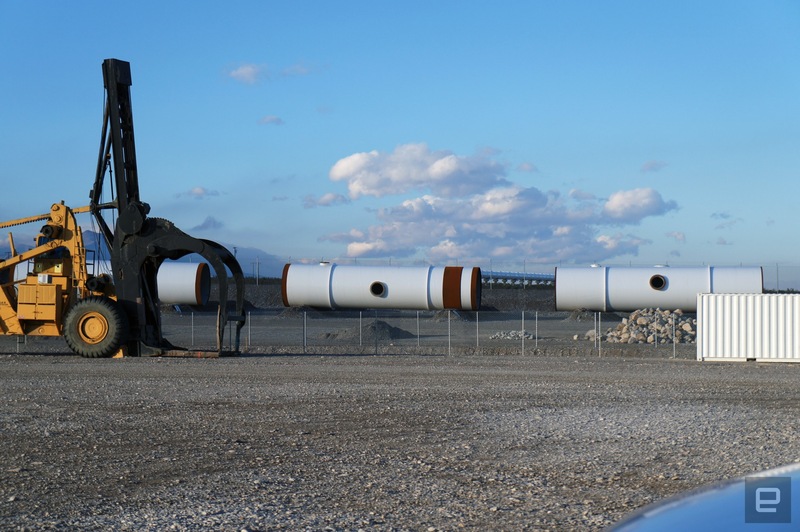 There was always a plan to include airlocks in the final design, but engineers were prompted to retrofit one onto DevLoop after a visit to SpaceX's own test Hyperloop. They noticed how very long it took for the tube to depressurize before each run and started building their own airlock shortly afterward. Now a large white box roughly 10 feet tall sits just after the entrance of the tube, which houses a heavy airlock plate that keeps the vacuum separate from the entryway. The airlocks not only make tests faster but also make the Hyperloop much more energy efficient, since you don't need as much power to maintain the vacuum. Well, it's not a vacuum as much as a very low-pressure environment that is kept at between 10 and 100 Pascal during operation. For comparison, the atmosphere most of us experience is around 100,000 Pascal, while the Hyperloop tube is operating at the equivalent of 200,000 feet above sea level. Now that the physics problems have been dealt with, the company is also doing its best to walk back from some of its more ambitious plans. There will now be a single, unified pod design for both people and cargo and potentially only one or two passenger-pod designs therein. The concept of having self-driving units take you from your Hyperloop to your home has now been scrapped. Instead, its system will enlist the services of taxi, ride-sharing and other last-mile providers to schedule rides in time with your departure and arrival. And as Hyperloop's leadership becomes more pragmatic, the hurdles that stand between it and a working system continue to fall. Perhaps the biggest one now is simply that it will take hundreds of millions, if not billions, of dollars of funding to bring a project like this to fruition and the blessing of many a government agency. That's not something that can happen overnight, unless some devil-may-care petrodollar baron can afford to fund the effort as a vanity project and stake a claim for the future. The company won't be drawn on where the first loop will be built but wants to make meaningful progress on the deal in the first half of the year. But if Hyperloop One believes that 2021 is a feasible deadline, then we'll be holding it to its claims and watching the next three years with great interest.